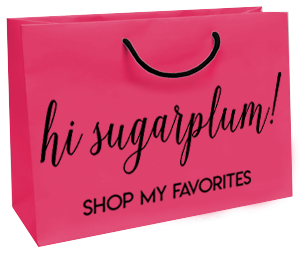 Summer of Style | 10 | hi Sugarplum! Welcome back to a new week! We made it home safely this weekend, and I think we brought half the beach with us! I did all our laundry before leaving Florida (praise for a washer and dryer in the rental house! ), but didn’t account for the amount of sand that would somehow come with us!? And while it was sad not waking up to an ocean view yesterday, it was even better to see our furry baby, Maggie, instead. I shared a good bit of our trip on my Instagram Story, and had so many questions about Anna Maria Island, where we stayed, etc, etc…and yes, I have plans for a full recap here, too! So stay tuned for that later this month. 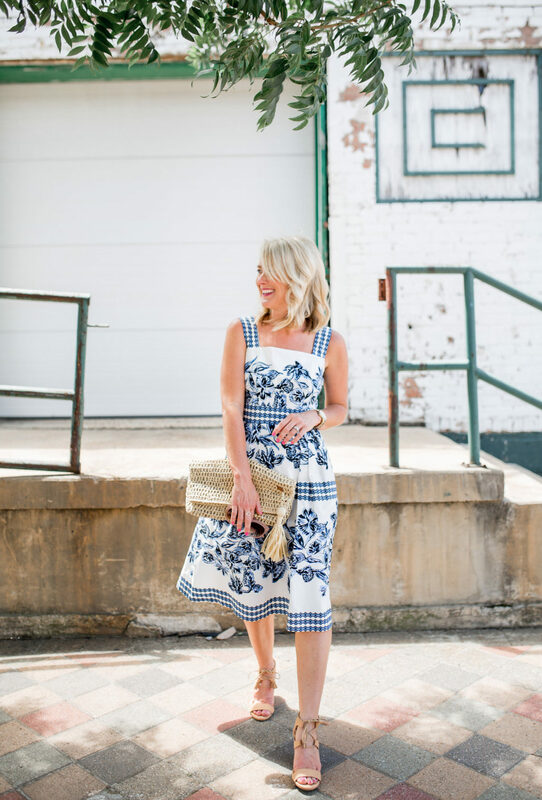 This floral fit-and-flare dress is one of those magical pieces that’s perfect for the occasions when you need to dress up ‘just a bit’…like your son’s music recital or daughter’s graduation, church, bridal showers…even work and weddings. I styled it with neutral accessories, but you could easily add pops of color with the shoes, bag or earrings. The dress is a sturdy cotton material (fully-lined) which makes it easy to dress down a bit, too. I love it with a jean jacket (this one is a favorite). 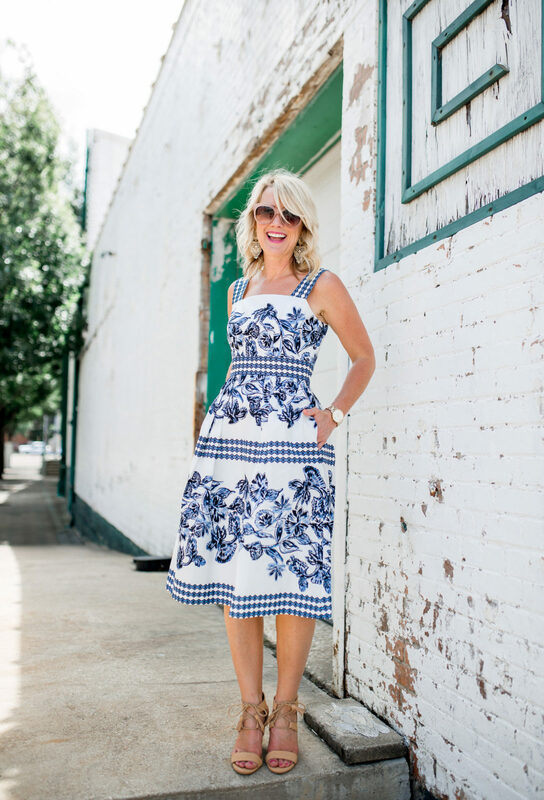 I’ve worn this dress for several occasions this Summer (always with tons of compliments! 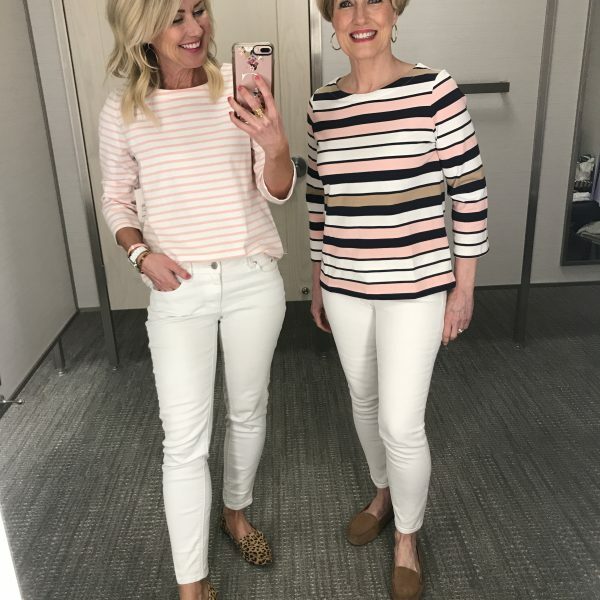 ), but one of my favorite resources when dressing for different events, is the Nordstrom website. I’m often asked for suggestions of what to wear to everything from Homecoming and formal events, to mother-of-the-bride or a wedding guest. The Nordstrom site has done all the work for us…especially in the ‘Dresses’ category. They have them divided by occasion, life event, and even price point. I usually start with the ‘Under $100’! My latest obsession is the two-piece category, I think they are so chic for formal events. And with free shipping and returns, you’re able to try several options to find the right fit. 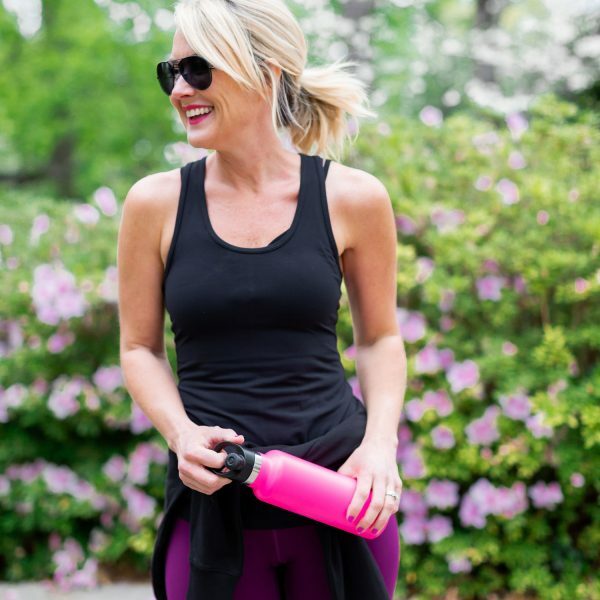 Fit Tip: This brand is true-to-size for me, I’m wearing a regular 2. It’s available in petite sizing, too! 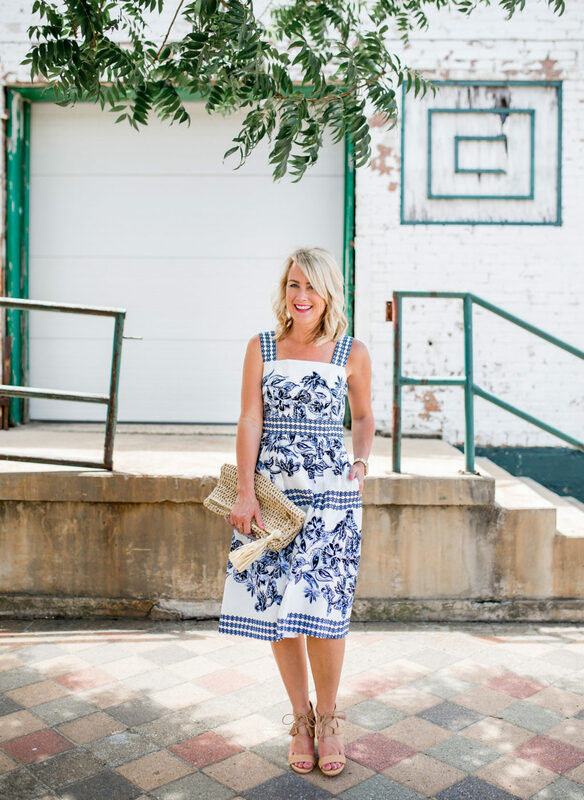 Do you have a great all-occasion dress? 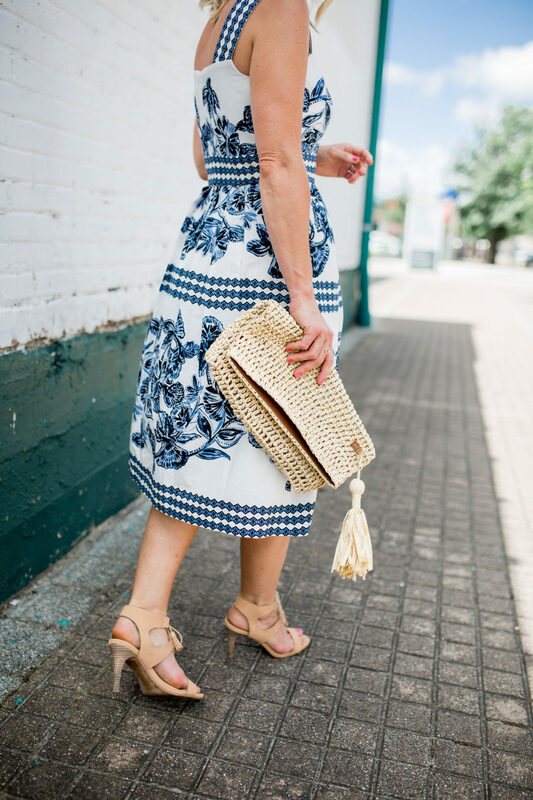 I can’t seem to get enough of blue and white this season! And it’s neither blue, nor practical, but I need someone to get this dress so I can live vicariously through you! 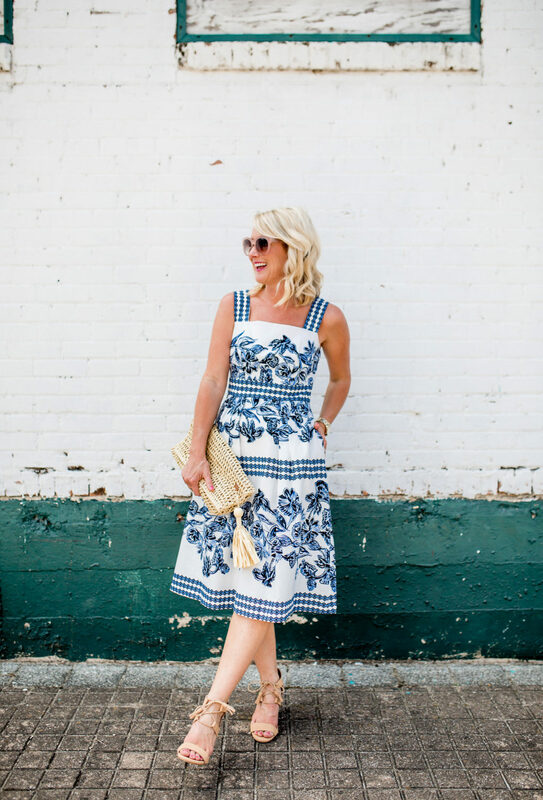 See more from the Summer of Style series here, and more Summer Outfit Ideas here. Oh, I often get asked about undergarments…this bra is my newest best friend (and works perfectly with this dress), and these undies never ride up or show an outline. 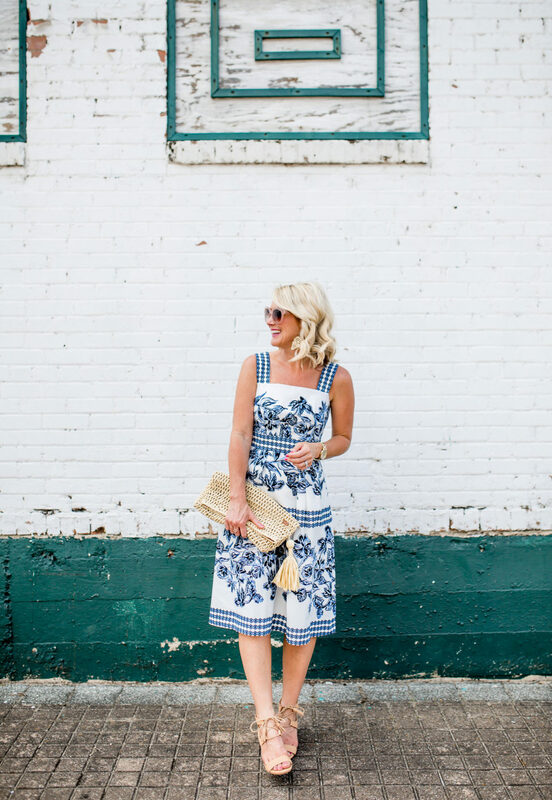 The floral dress is perfect for a summer wedding. I like that it’s not overly flowery too – the simple colours make it both playful and sophisticated. Very nice! I love your style. I just wish you would post more affordable outfits. I’m a working, middle class mom and a $128 dress just isn’t in my budget. Kitty, I love this dress too, but did you see her previous post? 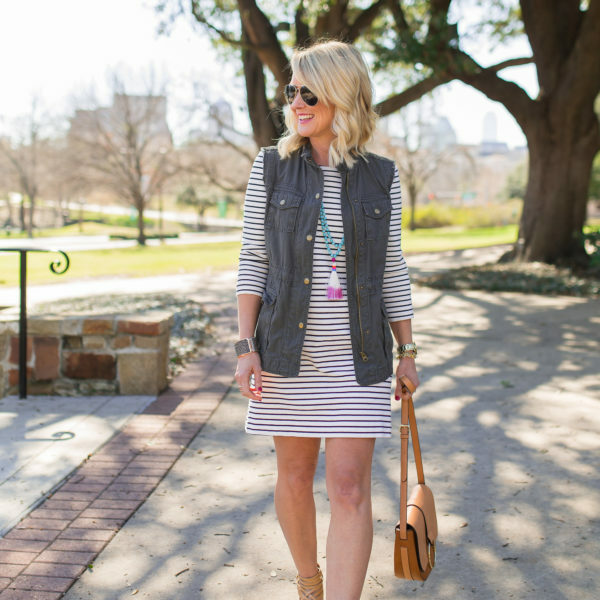 Another super cute dress from Old Navy and it’s recently been on sale for under $15! 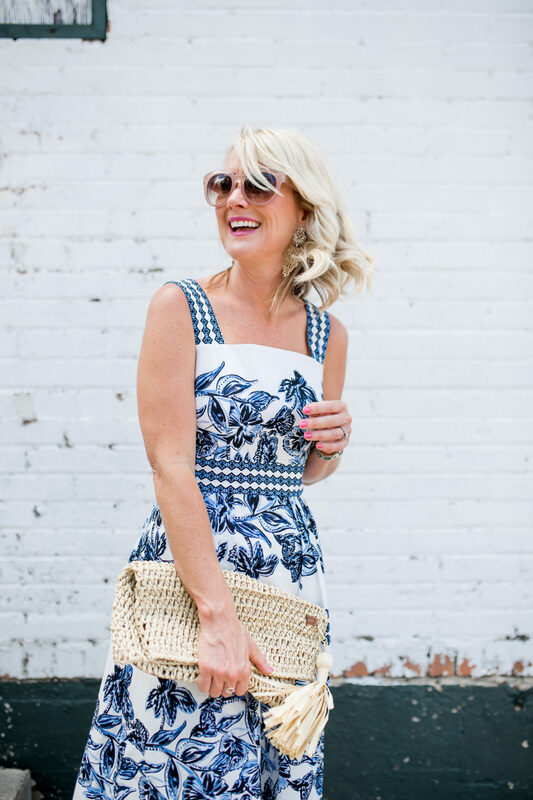 Thanks for keeping us thrifty gals in mind too! I love your style! 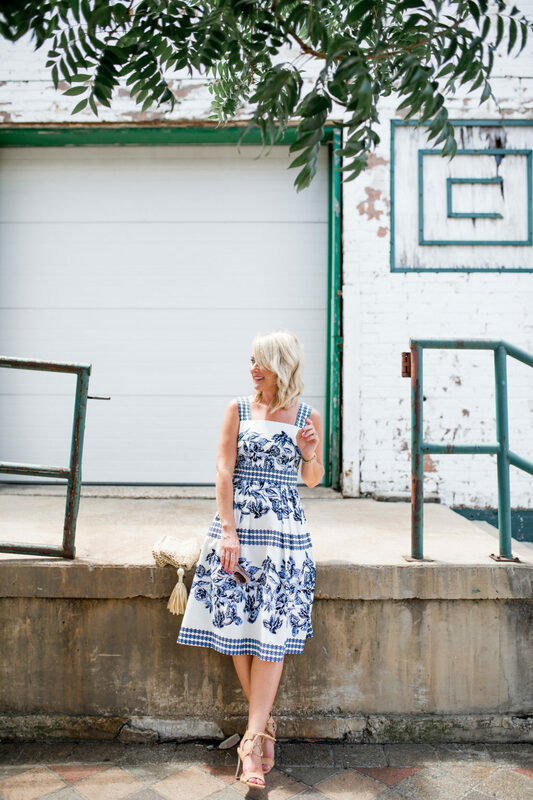 I just bought this dress two days ago so was pleasantly surprised to see it featured on the blog today. I saw it at a discount retailer and paid $50 for it. Although, I think it’s worth it at full price! It’s a classic style that’s perfect for hot California weather. I’m 5’4″, size 4 and a 30DDD. It fit perfectly in my regular size 4. I was happy it worked on top for me. I think if someone had a larger band or cup size it might be too tight on top. 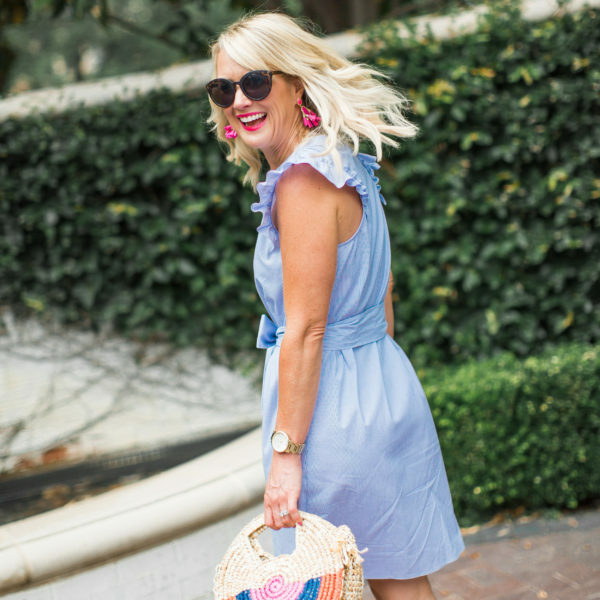 This dress has been in my cart for ages! See this post makes me want to take the plunge! You look so cute. I would get a lot of wear in it here in California! For sure it would! The material is a sturdy cotton, so you could even add a cardigan for your Fall and ‘Winter’ and get almost year-round wear out of it! That dress is amazing on you. The colors and the cut are so pretty and pockets, yes! A dress or shirt with pockets are always a plus to me. I wish I had the body for a dress like that but I don’t I like the yellow one that you linked though, but it’s sold out, ha. Thanks for sharing and have a great week. Thank you!! The yellow dress is definitely unique…I’m sure it’s stunning on the right person!